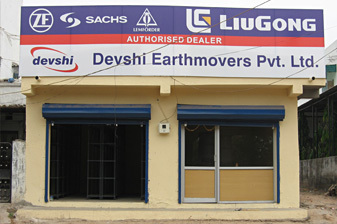 Devshi inaugurated new warehouse facility at Vadodara and renovated showroom and warehouse at Gandhidham for Liugong and ZF products. 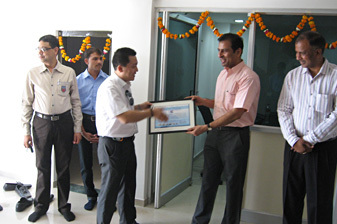 The showroom at Gandhidham was inaugurated on 1st April by Mr. Li Dongchun, Managing Director of Liugong India and auspicious Ganesh Diyas were lighted by Mr. Ramesh Singhvi, Chairman of Gautam Freight. 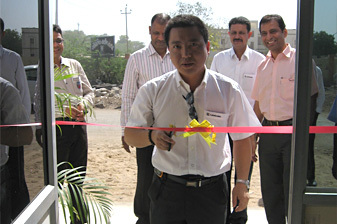 The inauguration was followed by a brief seminar and lunch at Radisson Hotel, Gandhidham which was attended by officials of Liugong, Cummins, ZF and clients from Kutch region. 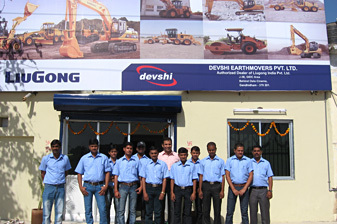 Devshi is proud to be exclusive sales and service dealer of Liugong for Gujarat state and have added a team of ten service Engineers and technicians headed by one Service Manager and one Sales Manager for Liugong operations.